NEW FOR SUMMER 2018!!! Princes and Princesses alike love the Dragon Slide! 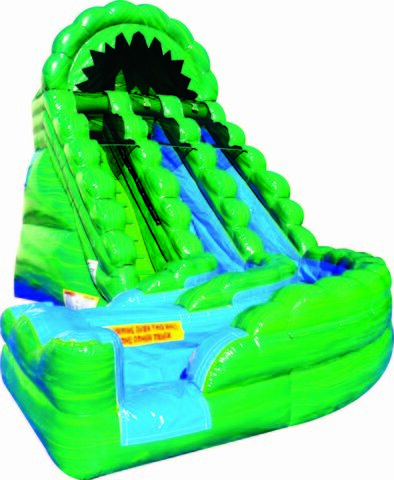 This 20 ft dual lane green marble slide is sure to be a hit with the royals at your party! Not your average water slide, this one adds excitement with an unexpected curve right at the end!